The first time I visited Patagonia, I immediately knew that I would return. There is something special and magical about this part of the world. Furthermore, I knew I wanted to bring other travellers to this place. Last month, I had the great privilidge of escorting 6 adventurous travellers on an incredible Patagonia trip. The trips stared in Chile and ended in Argentina. Our two week journey started in Santiago where we visited the wine region on a fun cycling trip. We cycled, tasted wine, and bonded! We then headed south to Punta Arenas and went on a boat excursion to Magdalena Island where we walked amongst thousands of penguins. From there we continued north to Torres del Paine National Park where we spent 3 full days hiking and exploring. It was here that we went on one of the toughest yet most rewarding hikes to the Base of the Towers. We then travelled across the border to El Calafate where we visited the famous Perito Moreno Glacier. 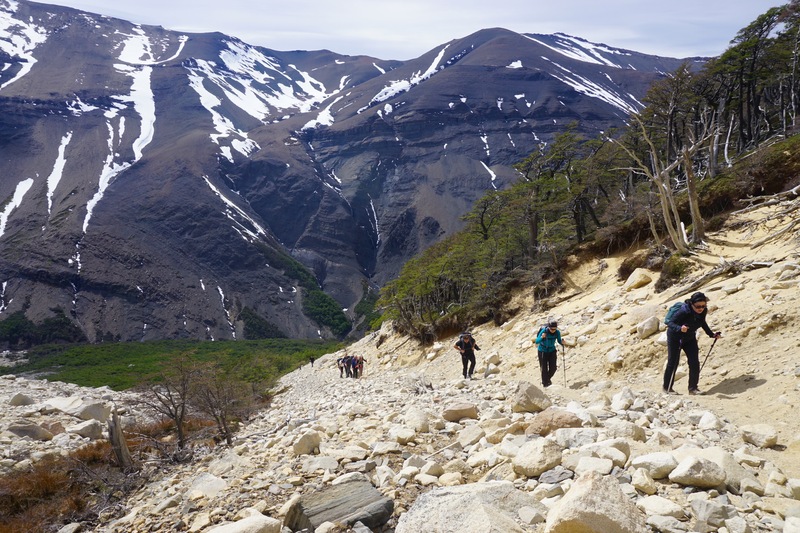 We continued on to El Chalten to enjoy hiking in Los Glaciares National Park which is home to Mount Fitz Roy. Finally, we hopped on a flight to Buenos Aires. We spent our last 2 days in this vibrant city which is often called the Paris of South America. This incredible Patagonia trip may have only been 2 weeks, but each day was filled with so much activity that if felt as if we were gone for a month. It was both active and relaxing and gave us all a chance to disconnect from our busy lives back home.